Managing a Resource? Or a Pest? Trapping fur bearing wildlife is a debated topic across much of North America. Fur trapping dates back to the inception of developing the continent. Settlers and pioneers utilized trapping and hunting techniques to survive, explore, and carve out a living in America’s wilderness. Animal hides were utilized as a form of barter, trade, and currency. The modern activity of trapping in today’s world is engaged upon by thousands of people, for a magnitude of differing reasons. Whatever those reasons may be, the activity in the 21st century provides a valuable resource to biologists and wildlife professionals, while also providing a service to the public at large. Many species of furbearers in North America aren’t hunted by rifle or bow, meaning trapping techniques are utilized to manage their abundance. Regulated trapping helps to curtail disease, manage populations, provide public safety and protection of infrastructure, as well as scientific benefit and understanding. Animals trapped during regulated seasons for fur or nuisance have populations that are both healthy and abundant. With all of this in mind, as people move farther and farther away from natural concepts and lifestyles, there’s inevitably going to be criticism for the activity of trapping. So what happens when trapping is removed or unnecessarily restricted from North America? In November of 1996, Massachusetts voters approved a ballot initiative titled the “Wildlife Protection Act”. The initiative was launched by the Humane Society of the United States, along with a group calling themselves the ProPAW Coalition (Protect Pets and Wildlife), which spent considerable funding on TV ads depicting house cats in foothold traps and dogs missing legs. The slogan “Ban Cruel Traps” evidently resinated with 64% of the state’s citizenry - securing the initiative’s passage. Prior to 1996, MA Fish & Wildlife would contact licensed trappers to help remedy beaver conflict situations. The system worked well; as trappers would make a little money off pelts and beaver glands, the state would collect a little license revenue from trapping licenses, and residents would be relieved of beaver conflict (in the form of flooding to property, compromising septic systems and polluting wells, just to name a few). In two and a half years following the ban, Massachusetts’ beaver population expanded from 18,000 to almost 55,000 according to reports from Audubon Magazine. Lawmakers scrambled to make amendments to the ban when impatient residents, who had become completely dependent on MA Fish & Wildlife to handle beaver complaints, began breaching beaver dams in the dead of winter (when beavers don’t repair them, and endangered reptiles and amphibians are vulnerable to fluctuating water levels). Whatever negative picture animal rights activists tried to paint of trappers before the ban, it paled in comparison to what unfolded in the state’s ponds, rivers and streams after the ban. Years earlier in the late 1980s, a national animal rights group became successful getting trapping ban initiatives passed by town, county and state governments. Attempts were made by these groups to disguise regulated trapping as a public safety/animal welfare issue. Expectedly, an article to ban trapping was introduced at a Chelmsford, Massachusetts town meeting in 1988. According to The Northeast Association of Fish & Wildlife Agencies, “State wildlife experts reminded residents that regulated trapping was not a public safety issue, and warned that if regulated trapping were banned, there would be numerous undesirable consequences in the form of property damage and wildlife habitat degradation. Despite the warnings, the article was passed, and the trapping of furbearing mammals within the town was prohibited. The residents of Chelmsford were duped further by animal rights activists who had promised in 1988 and again in 1992 to install beaver “flow pipes”, as well as a proposal to "sterilize" beavers in the town (a technique that is not biologically feasible on a free-roaming rodent population). During the four years that the trapping ban was in place, activists never followed through on their promises and were never held accountable for the statements they had made. At a special town meeting in September 1992, town citizens voted by a two-to-one margin to allow regulated public trapping to resume. During the regular trapping season later that fall and winter, four trappers working with homeowners and town officials removed 87 beaver. In 1998, California bore witness to a ballot referendum known as Proposition 4. The initiated state statute virtually eliminated animal trapping in the state (despite the state already requiring rubber-padded trap jaws) and pitted conservation groups like The Audubon Society against what was perceived at the time as a “new wave” of extreme environmental activism. Many legitimate conservation groups were concerned over Prop4’s impact on management of the “invasive” eastern Red Fox, who wreaked havoc on endangered bird species. At the time of Prop4, executive director of Audubon Society’s Golden Gate chapter, Arthur Feinstein stated in an interview for Audubon Magazine, "In a one-week period, (foxes) wiped out a rookery in the South Bay that contained several hundred herons and egrets and 2,000 Caspian terns." Of even greater concern was the endangered California clapper rail. "When the foxes showed up, there were about 1,700 (rails) in the state. By 1990, they were down to 300. Then the state started trapping, and now they're back to 700. If the trapping stops, the rail is doomed," stated Feinstein. Today, with the passing of Prop4, and effective banning of the steel foothold trap (except for depredation protection), the red fox is still regarded as a detriment to endangered species in California. As of 2017 the state has experimented with sterilization and exclusion; to little or no avail. Regulated management of predators by state conservation agencies across the county, who permit state citizens to trap seasonally for fur pelts, is routinely utilized to protect endangered nesting birds such as Rails, Piping Plovers, and many species of threatened mammals and reptiles. Regard for a resource? Or a pest? Cultural tolerance of wildlife is dependent on many factors, but one of the most important is whether a particular animal is a nuisance or not. We hear a lot about a need to save foxes and beavers - but when was the last time you heard someone advocate for “protecting” Norway rats? In a broad American society, one of those animals is typically regarded as “the pest”, while the other two, as of 2019, are cherished as wild “resources” - in need of protections. Take the Nutria for example. A 2004 economic study commissioned by the Maryland DNR reported upwards of 35,000 acres of Chesapeake Bay marshlands could potentially be destroyed by nutria within 50 years. USDA’s APHIS Wildlife Services division has undertaken the brunt of the eradication challenge, and, with the assistance of USFWS, hired contract trappers, and Maryland DNR, its proven successful. Due to their invasive tendencies, and a lack of licensed trappers on the landscape, nutria are trapped indiscriminately and at times year-round to curtail damage caused by the semi-aquatic rodent. In the case of nutria along the eastern US coast, its no longer a matter of managing and conserving a wild resource; its an all-out eradication - and it comes with a price tag. The war wages on in urban settings too. Raccoons, skunks and opossums are common visitors in the suburban streets of North America. They’re also some of the highest-ranking “nuisance” furbearers once they make residence inside dwellings and living spaces. Its very easy to proclaim that “the wildlife was here first” until its your attic that’s being occupied by a nursing mother raccoon. When an animal is deemed a nuisance, there’s usually little (if any) time spent thinking about the season, breeding time, or ethical “usage” of the animal’s remains. 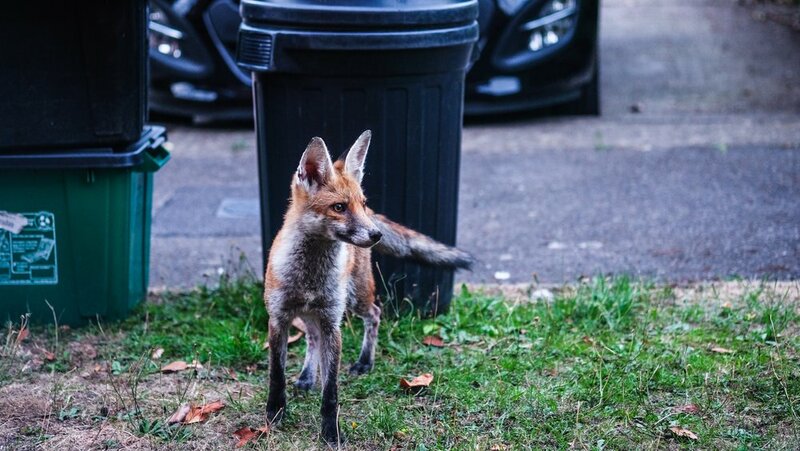 Many states have passed laws prohibiting relocation of problem wildlife (due to spread of disease and public health) resulting in the inevitable euthanization of the animal or animals in question. Many animal rights activists believe they’re “saving” wildlife and “punishing” trappers by pushing to completely eliminate the activity of regulated trapping. Decades of non-biased research and science points to the exact opposite. This mentality proves to have potentially disastrous consequences. History tends to repeat itself; and in areas where trapping has been greatly restricted, those trappers, who for the most part “evolve” into wildlife control agents, increase along with nuisance wildlife impact. As presented above, wildlife and the biodiversity of natural areas tends to be negatively affected by reductions in regulated “take” of abundant “game species.” Most furbearer populations are healthy and exceeding target population goals in most areas of North America. This statement is made while trapping activities have and continue to take place on these landscapes in a regulated fashion. Are we, as a society, actually causing wildlife to become endangered when regulated management by controlled “take” is frivolously restricted? When wildlife becomes too abundant, regulation sadly takes a back seat to reduction needs. 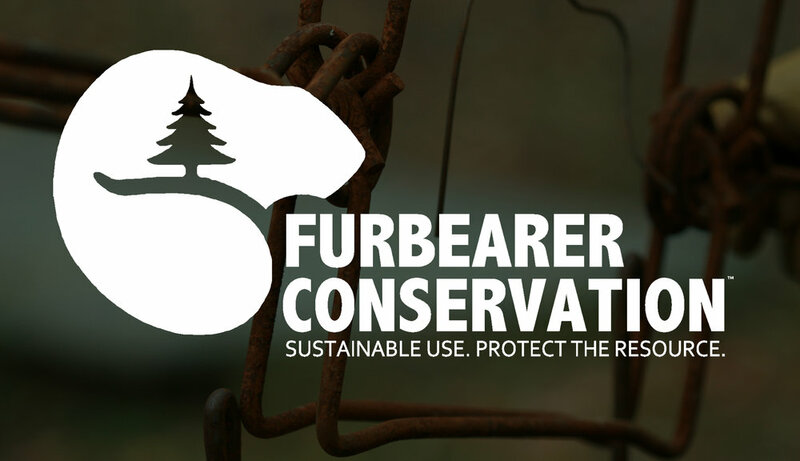 The Furbearer Conservation think tank was designed not only as a resource for regulated trapping and management, but also to discuss the parameters of the activity and to present the benefits it produces. We support trapping because of the implied heritage and rural tradition the activity facilitates on the wild landscape. We fight and advocate for regulated trapping because of the activity’s modern benefit to public safety, society, conservation, and biodiversity. To remove its relevance from the land is to facilitate less regulation of wildlife “take”, less understanding of population trends, and less advocacy for the natural environment and, by proxy, the creatures which reside within it. We will continue to administer criticism and critique for restrictions placed on management of natural resources that we perceive as an overall detriment to real biodiversity. We will also continue to present arguments, evidence, and debate that bolsters regulated activities like hunting and trapping as a necessary component of real conservation.